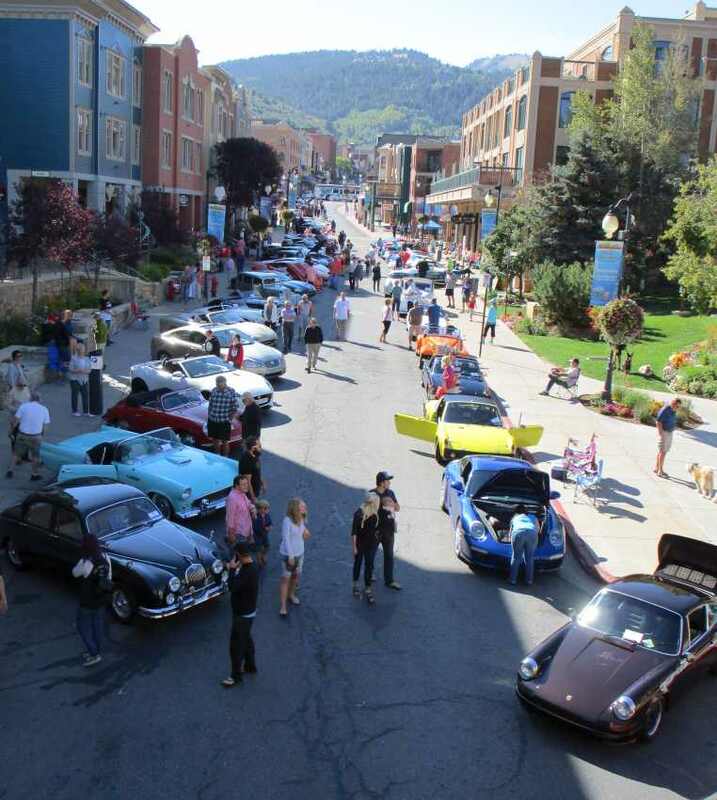 This annual event has been staged for many years by the Bonneville Austin Healey Club, with the help of participating Utah car clubs, including the Wasatch Mountain Jaguar Register and the British Motor Club of Utah. This year the WMJR is again taking the organizational lead, while still welcoming help from other clubs, including the BAHC and the BMCU. Here are photos from last year's event. Cars will be placed in the parking lot west of Billy Blanco’s at 8208 Gorgoza Pines Rd., Park City, UT 84098 from 8:30 to 9:30 am on August 25th. The Classic Car Show will be held from 10 am to 2 pm. A buffet lunch of BBQ chicken, BBQ pork, sides, sodas, iced tea, and lemonade will be served by Billy Blanco’s from 12:30 to 1:30 pm. Each entrant will receive one free lunch. Guests can purchase lunch for the discounted rate of $16 if prepaid (checks payable to WMJR). Lunch can be purchased the day of the show for $20. All entrants will be eligible for the “People’s Choice” and “Best of Show” award plaques. “Best of Class” award plaques will be awarded in all car classes of 4 or more cars. No class award will be presented if there are less than 4 cars registered in that class as of August 12th. Register today! Award winners will be announced between 1:30-2 pm following lunch. Goodie bags will be provided to entrants, one per car. All entrants will be eligible for a random drawing of nifty door prizes. We hope this new venue will prove to be an excellent location for years to come and that the inclusion of a Billy Blanco’s buffet lunch will enhance the fun and value to participants. We still have openings left in the show for your car, so please send in your application (see link below) today! If you have already submitted your application please send Barry Hanover (2483 Daybreaker Dr., Park City, UT 84098-5816, 435-649-4933, bhanover1@msn.com) your checks for lunch for your guest(s) to secure the $16 rate. The show is open to the general public for viewing at no cost. Over 60 cars are expected.